It seems like in these tough economic times, there are more and more people driving around town worried about the repo man. After all, you don’t have to fall very far behind in your car payment to have the creditor calling you day and night about your payment. From there it’s only a short period of time until the vehicle hits the repo list. 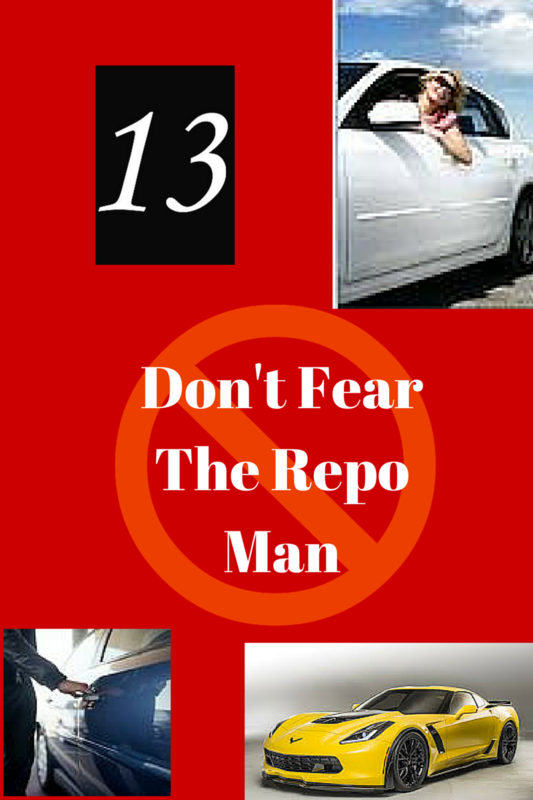 Once you’re on that repo list, your vehicle could be taken in the blink of an eye. I have had clients who couldn’t get to work because the car was taken prior to them getting into the driveway in the morning. I have had other clients that could not get home from work because their car was taken during the work day in the employee parking lot. I’ve had other clients that couldn’t take the car out of their garage because they knew the repo man was waiting to follow them down the street. If this sounds like you or someone that you know, you may be surprised to learn of an option that will help you keep your vehicle and pay for your vehicle over a 60 month timeframe. What I’m referring to is reorganization under chapter 13 of the United States Bankruptcy Code. Chapter 13 will allow you to restructure the debt on your vehicle often reducing the interest rate and sometimes paying less than what is owed over a period of 36 to 60 months. Much of the technical details depend upon whether your vehicle was purchased more than 2 1/2 years ago. If so, you are able to pay back the fair market value of your vehicle in full and pay a portion of the unsecured debt. This is technical information that a chapter 13 attorney will be able to explain in greater detail. But for purposes of this article, you only need to know that you may be able to reduce the amount that you pay for your vehicle by restructuring the debt. The news just keeps getting better. If you are someone who has had your vehicle repossessed recently and it has not yet been sold at auction, then filing a chapter 13 bankruptcy mandates that that vehicle be returned to you. If you have had multiple filings within the last year, then there are additional motions that your attorney will have to bring in an effort to recover the vehicle. However, if your vehicle was repossessed for the first time or if you never filed a bankruptcy case before, then your vehicle will be returned to you under the case of Thompson. The Thompson decision basically stated that the vehicle is still your property absent a court order to the contrary. Thanks to the Thompson decision, we have recovered vehicles that were repossessed prior to a chapter 13 bankruptcy filing with relative ease. It is only the most uninformed lender that will now put up a fight despite the Thompson decision. These lenders often find themselves on the wrong side of court orders for sanctions, attorney’s fees and punitive damages. So if you’re driving around the city of Chicago or anywhere in the United States and you simply are behind on your car payment and you just can’t make that full payment, then chapter 13 reorganization may be the way to solve your problem. You can contact my office any time to learn more about chapter 13. I would be happy to personally educate you on your rights under the bankruptcy code.